Welcome, to the new line up of memes!! Its Monday so that means its time for a book recommendation! 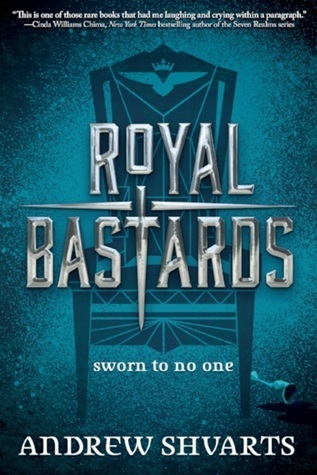 Here we have one from Disney Hyperion called Royal Bastards and let me tell you it was awesome! Princess Lyriana came to Castle Waverly two months after I turned sixteen. That meant fall was setting in: the trees were red, the roads were muddy, and when Jax and I sat in the abandoned sentry tower on the eastern wall, passing a skin of wine back and forth, we could just barely see our breath in the air as we talked. “Well, Tilla? Any sign of them?” Jax asked. He was slumped on the ancient stone of the tower’s floor, his back resting against the waist–high wall,while I sat just above him on the edge of the parapet, my bare feet dangling over a hundred–foot drop. It was midafternoon, but the sun was hid– den behind a gray blanket of clouds.